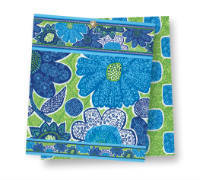 Vera Bradley debuted four of their new Summer 2012 color patterns debuted in retail stores on March 22nd. If you want to save on these stylish Vera Bradley handbags, we recommend that you shop online and we listed some good sale bargains on the new Summer Vera Bradley handbags. Doodle Daisy consists of cool color hues of blue and green patterns of pretty flower blooms, consisting of an elaborate series of flowery illustrations that give the bags a fairly tale theme. The geometric doodles of diamonds, triangles, zigzags, and lines give it a fun playful style. Lime's Up illustrates a juicy citrus theme with its black blossoms surrounded by bursts of teal, cool turquoise, green, and white patterns. Inside the bags, you'll find a lovely leaf pattern of blue and green hues. These Lime's Up bags will be great for any outdoor recreational or camping activities! 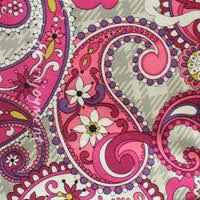 Priscilla Pink expresses vibrant pink colors stylized in a flowery motif of black, gray, chartreuse, and vanilla designs. 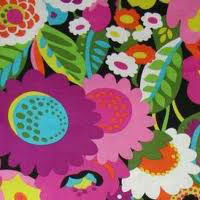 This classic floral pattern will look great with any of your pink summer outfits! Summer Cottage explodes a botanical theme of carnation pink, red, golden yellow flowers that look striking against the cornflower blue and navy flower designs. The foliage pattern looks like a floral camouflage which makes it a perfect theme for your summer travels! 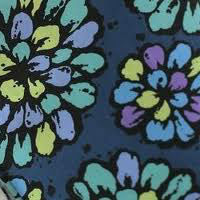 Also take a look at the new colors for Fall 2012: Indigo Pop, Paisley Meets Plaid, Va Va Bloom!